Several people have asked what kind of wildflowers we saw this spring on our departmental field trip in the Mojave Desert. They were gorgeous and diverse — more than last year in variety and abundance, but far below the carpets of flowers we wandered through during the very wet 2005. 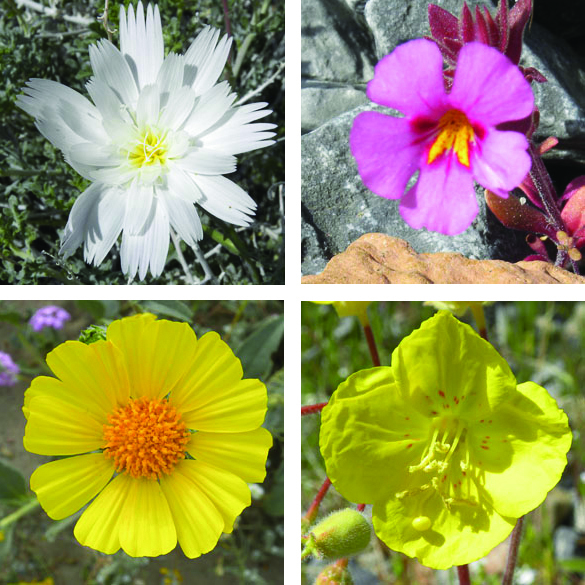 Here are four of the most common blooms. Feel free to identify them in the comments!